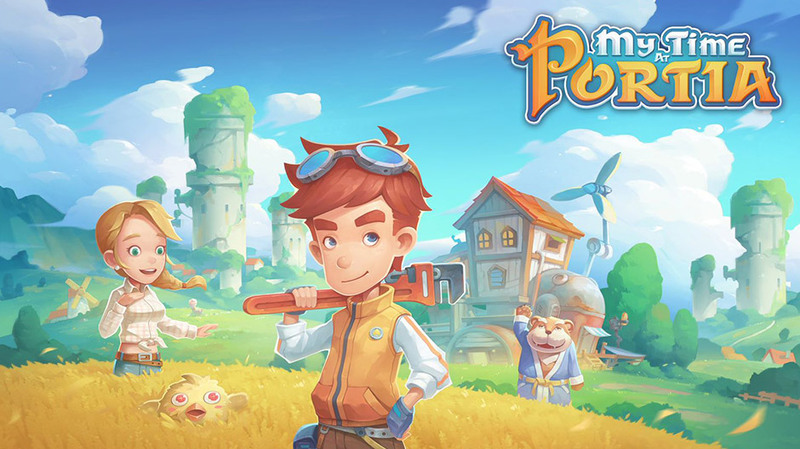 Doughlings: Arcade for the Nintendo Switch is the first game from Turkish developer Hero Concept. Well, OK, it’s been out for the PC for a while now, but still; first game. It’s a unique take on the classic brick breaker game archetype descended from the arcade classic Breakout (seriously, check out the Wikipedia page for that. It’s amazing to see all the names that worked on that game and what it led to). 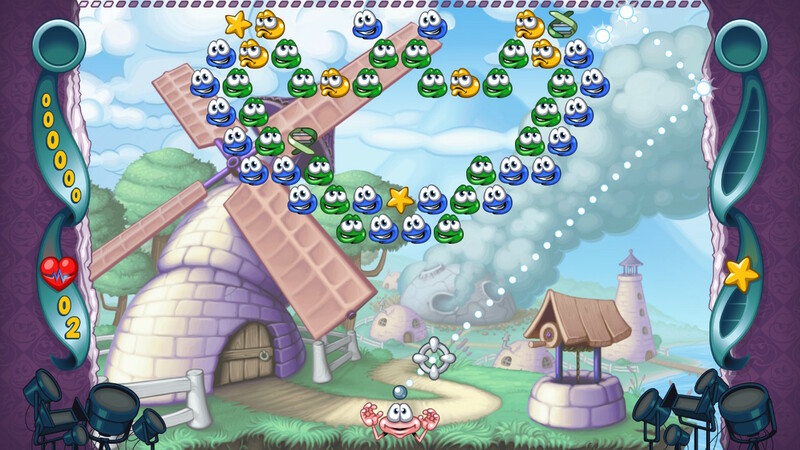 Doughlings probably has more in common with Arkanoid, another brick breaker game that introduced power-ups into the equation, but I should stop making comparisons to milestones from gaming’s past. 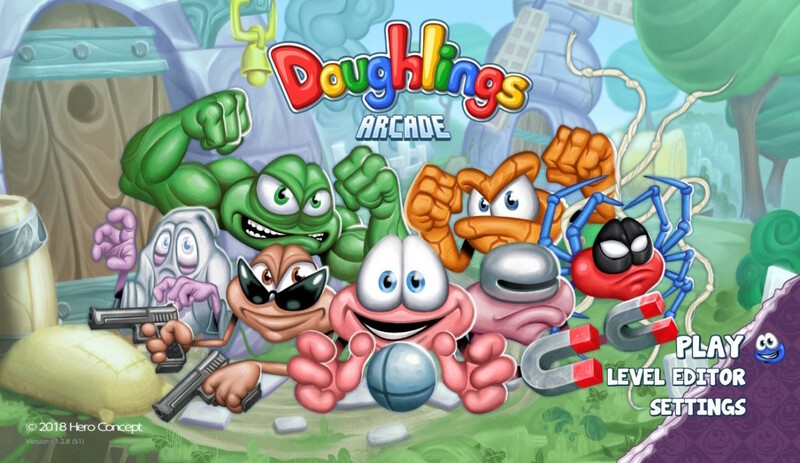 While it does have some obvious influences, Doughlings: Arcade is a solid, fun game all its own. 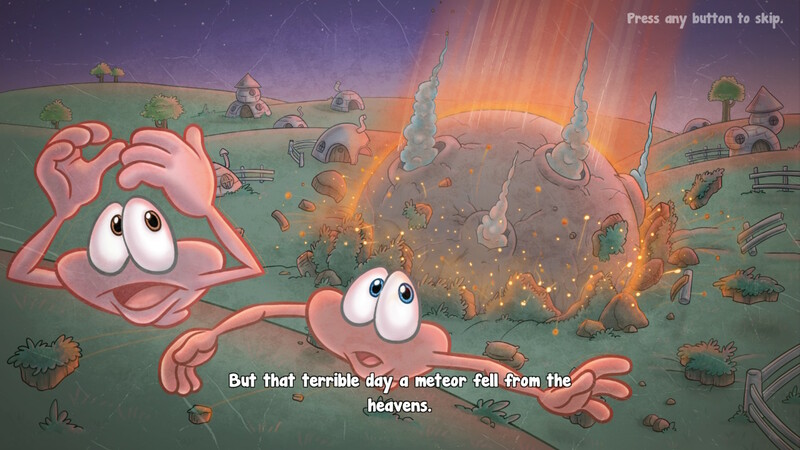 One sunny day in the home village of the Doughlings, a meteorite crashes in the middle of town. Curious Doughlings check it out, only to be infected with a mysterious disease that changes their color away from their regular dull pink hue. Finally, only one Doughling is left; Dr. Morpheus, who is frantically working on a cure for the mysterious illness. He succeeds in creating a treatment in the form of a ball that he has to beam the infected Doughlings with in the head to cure them. That’s… unorthodox, as far as medicine goes, but whatever works, right? 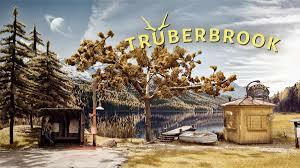 It’s about as much backstory as you need for a brick breaker game, I guess, and more than most have. The opening cinematic is sort of amusing and provides a nice frame for the action, even though the story isn’t that deep. Still, it’s nice to see that the developers cared enough about their creation to put some time into crafting a scenario for their game. Like a conventional brick breaker game, you have a ball, a paddle, and some targets that you have to hit. Each level starts with the ball on top of the paddle, and you can choose to launch it to the left or right. The infected Doughlings are the bricks, and there are different colors that denote different levels of infection. Blue Doughlings are almost cured, and one hit will cure them and remove them from the board. There is a progression of colors that the infected Doughlings cycle through, red to yellow to green to blue to pink. Every time a Doughling gets hit, they take one step closer to pink on the spectrum. If the ball gets past Dr. M, he loses a life. 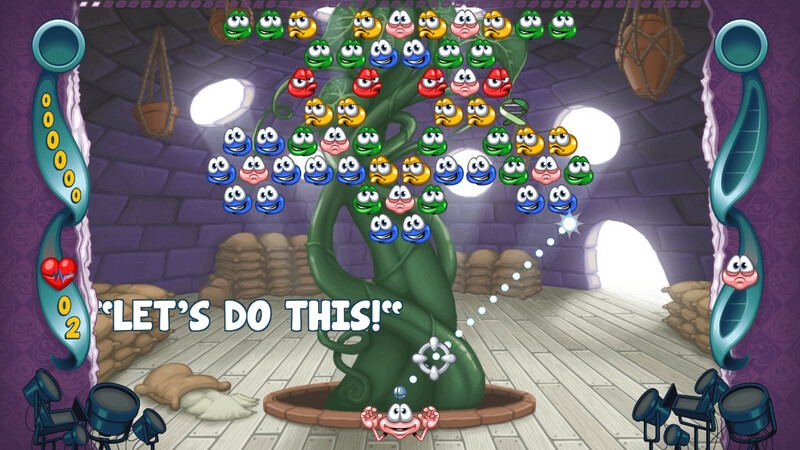 If he loses all his lives, he has to restart the level. The paddle is Dr. Morpheus himself. He just bounces the cure ball off his head or hands. The twist in the game is that Morpheus can morph (get it?) himself into different modes if he collects DNA strands scattered between the infected Doughlings in each level. The different transformations have different effects. For instance, the Smash DNA turns Dr. M into a Doughling version of the Hulk, so the paddle gets twice as big. Every one of Dr. M’s transformations has a special move as well, including just the base Morpheus paddle. When you turn a Doughling pink, they drop a thumbs up icon. If you collect these icons before they fall off the bottom of the screen you light up one spotlight. If you light all ten spotlights, you can activate Showboat mode, which has different effects. 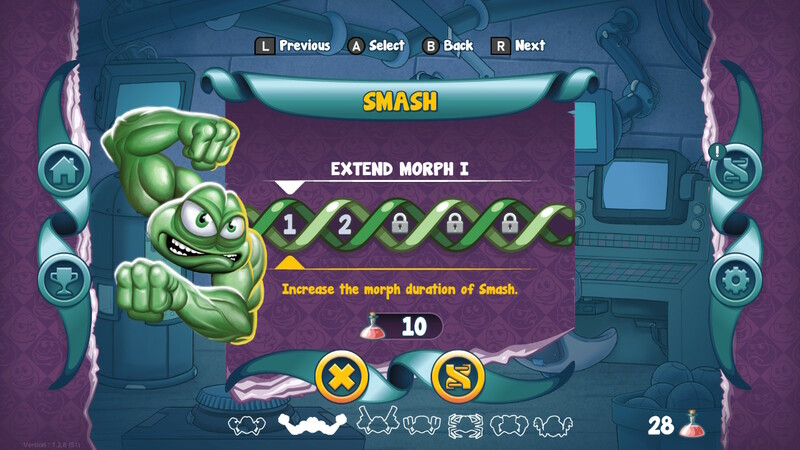 The aforementioned Smash mode does a thunderclap, which counts as one hit on every Doughling, moving them all one step along the infection spectrum. Transformations are only active for a limited time, so make the most of them. Also scattered into the field of infected are three stars. Hitting a star will knock it loose for Morpheus to catch it. 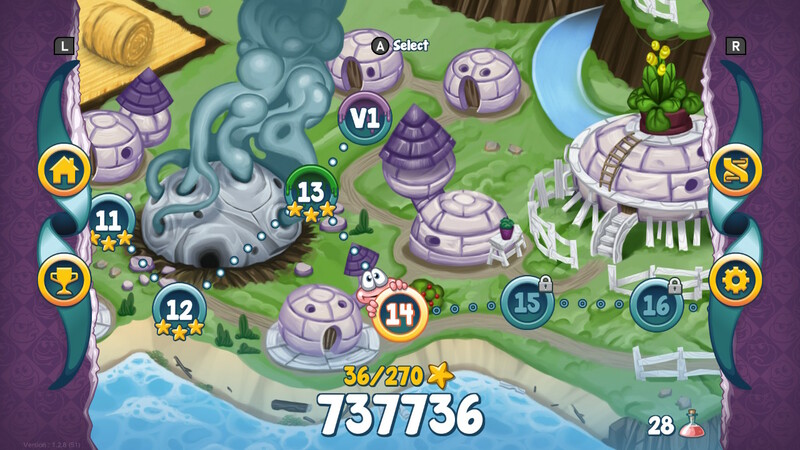 Catching all three stars grants a bonus at the end of the level. The bonuses come in the forms of special potions that can be used to purchase upgrades for the special moves. Upgrades include decreasing the number of spotlights needed to activate Showboat mode, increasing the duration of a transformation, or increasing the effectiveness of the Showboat action. But does all of that add up to a fun game? You bet it does. It’s a great game to pick up and play whenever. The simplicity of the game doesn’t necessarily make it easy, but it’s not oppressively difficult, either. The difficulty curve is rather gentle, meaning no matter how far you get into the game, you just have a challenging but not frustrating experience awaiting you. In a neat addition, Doughlings: Arcade includes a level creator so you can build your own puzzles. 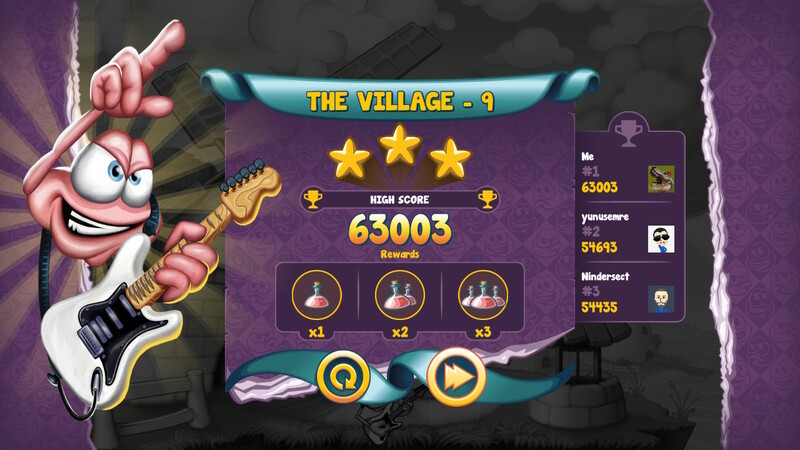 You can lay out each level to your specifications using pieces you have unlocked during the main game. That is one drawback, I suppose; you can’t use every piece until you encounter it in the main campaign. It’s a little limiting, creatively, but it’s still a cool feature. You can also upload your creation to the network and download other players’ custom levels to try out too. It’s a cool feature that has the potential to extend the playable life of the game indefinitely. The visual design of the game is nice but not spectacular. The Doughlings themselves all look like Geodude but with skin instead of rocks. It’s not as disturbing as it sounds. The characters have a hand-drawn look to them, but they have minimal animation so things can get a little boring, visually. 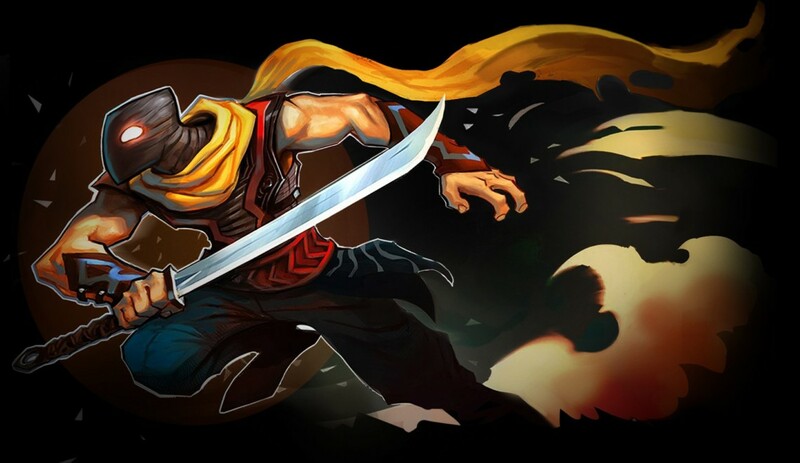 Overall, however, the graphics are bright and colorful and make for an attractive enough game. The soundtrack is full of snappy little electronic ditties that pop along with the action. The songs are light and fun and don’t overpower the action. The game has an announcer that kind of sounds like a sarcastic jerk sometimes. I already know I messed up, man, leave me alone already. Still, the audio design gets the job done as well as the graphics. Doughlings: Arcade makes some choices with its touch controls that seem weird at first, but actually make a lot of sense. During actual gameplay, there are no touch controls. That’s actually fine, because they wouldn’t really integrate to the gameplay all that well. However, you can use touch controls to navigate the menus and level creator if you choose. It’s actually way more convenient to use the touch controls for the level creator, if you decide to use that, so it’s nice that they included that option. There are no motion controls. The game didn’t look appreciably better on a TV, so I recommend Doughlings: Arcade for undocked play. TL;DR: Fun, solidly designed brick breaker game.